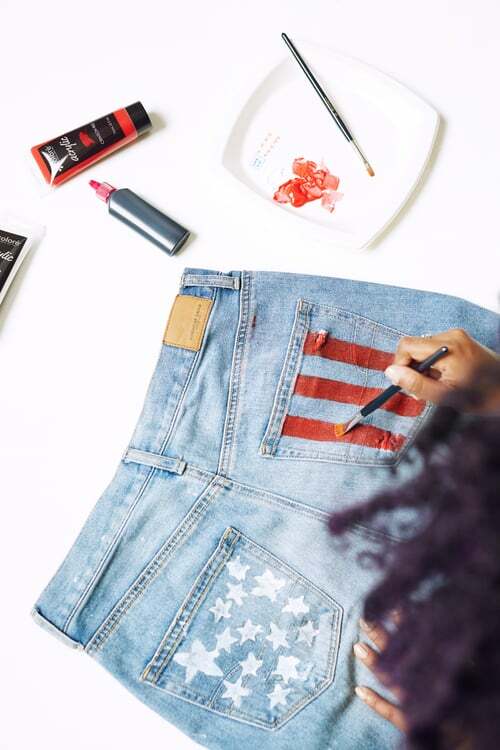 Jeans are your canvas — make them your own. 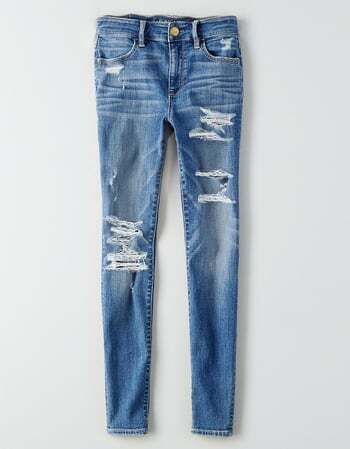 We've partnered with American Eagle Outfitters to bring you the denim options that let you feel like your best self, no matter where life takes you. 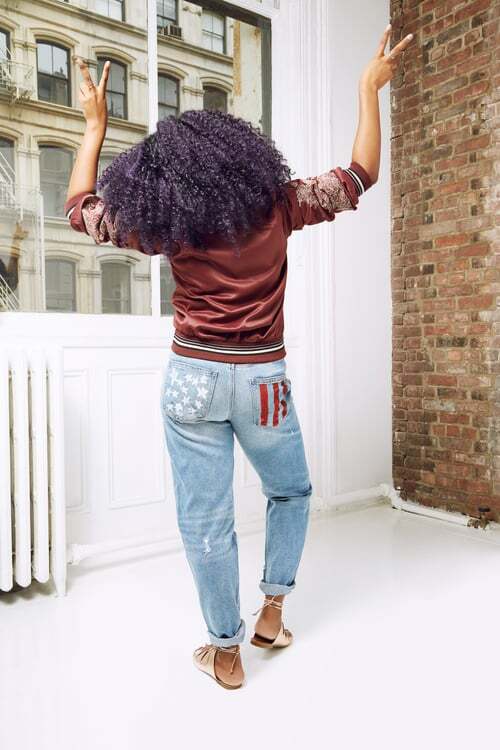 Our love for denim knows no bounds. We wear it through childhood and into adulthood, to work and on the weekend, and alongside every imaginable fashion trend, season after season. 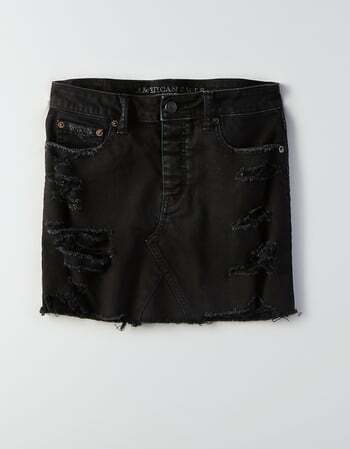 But it's not just about denim's versatility and accessibility. It's about how it makes us feel: confident, strong, and capable. 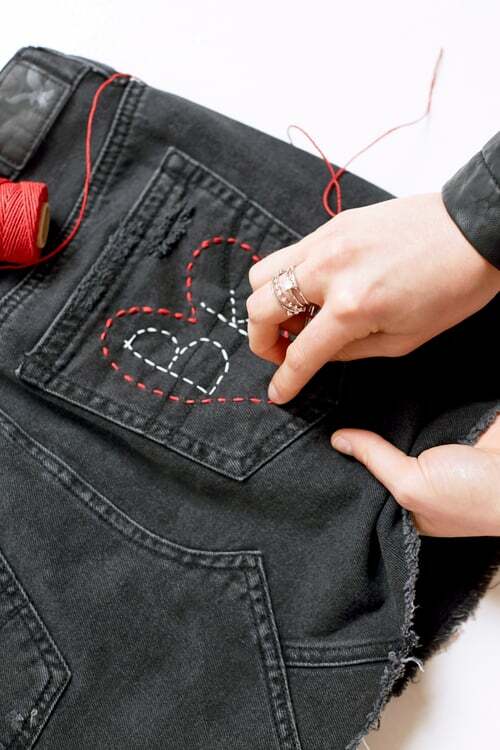 For many women, denim is more than just a piece of clothing. It plays a pivotal role in our wardrobe — and our identity. 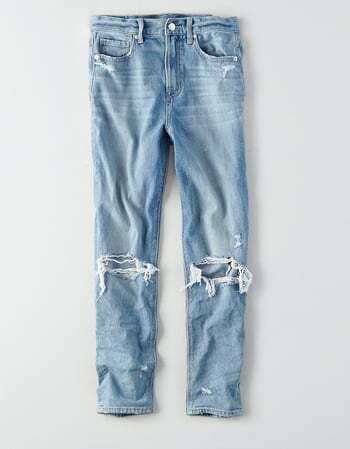 This is especially true for three POPSUGAR staffers whose love affair with their jeans extends beyond the sartorial. 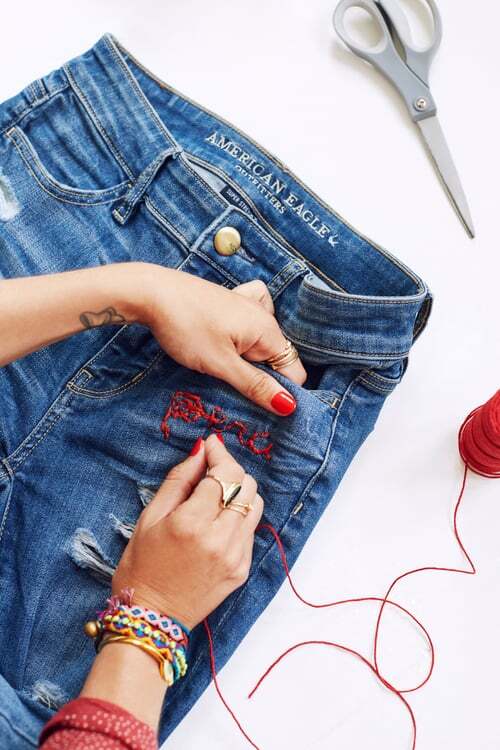 These ladies transformed denim into a tool of empowerment, helping them remain bold, creative, and fearless during challenging times. It's inspiring stories like these that prove the transformative power of our favorite fabric, which is all the more reason to keep your tried-and-true pairs close at hand. Relocating from a small town to a bustling metropolitan is incredibly daunting, especially right out of college. Luckily, Hannah's favorite denim skirt was along for the ride to help her feel comfortable and confident, and to make the move in style. "Right after college, I took a big risk and moved from a smaller town in North Carolina to Brooklyn on a whim. In school, I was used to living with my best friends and didn't completely understand how it felt to be on my own. My decision to relocate to New York and move in with random roommates has not only allowed me to step outside my comfort zone but has also helped me grow into a more independent and creative person. "Wearing my trusty denim during my big move gave me the stability I needed throughout that new, scary, and exciting period of my life." Voting is a major rite of passage for many citizens and signifies something different for each individual. 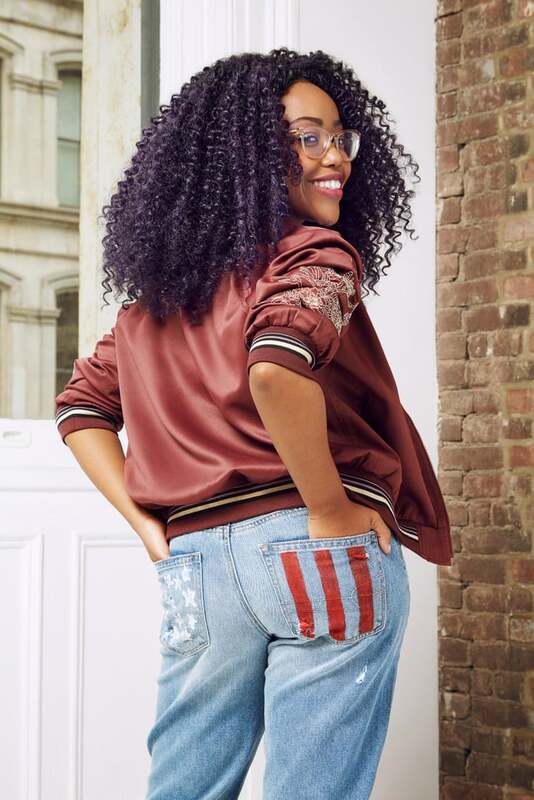 For Meki, the 2012 election was her chance to get involved, voice her opinions, and put her mark on the world, and she couldn't have done it without her good-luck charm: a pair of comfortable jeans that allowed her to express herself and her style. "I was in college, and it was my first time being old enough to vote in an election. I had never cared much about politics, but at this point of my life, I was coming into my own and figuring out what I really cared about, what I stood for, who I was. I was really feeling empowered, but I was also terrified because I was going to vote for the first time, and I really wanted it to matter, wanted to make a difference. My good-luck jeans made me feel 110 percent comfortable, like I'm in my element and nothing can bother me because I feel and look pretty damn good. And I went to vote for my president. "I was going to vote for the first time, and I really wanted it to matter, wanted to make a difference. So I put on my good-luck jeans that make me feel 110 percent comfortable, like I'm in my element and nothing can bother me because I feel and look pretty damn good." For Shanna, a volunteer trip abroad was a once-in-a-lifetime experience she couldn't turn down. It was the perfect opportunity to give back while immersing herself in a different country and culture. While it's intimidating being on your own in a foreign land, she had her go-to figure-flattering jeans on hand to help her feel at ease. 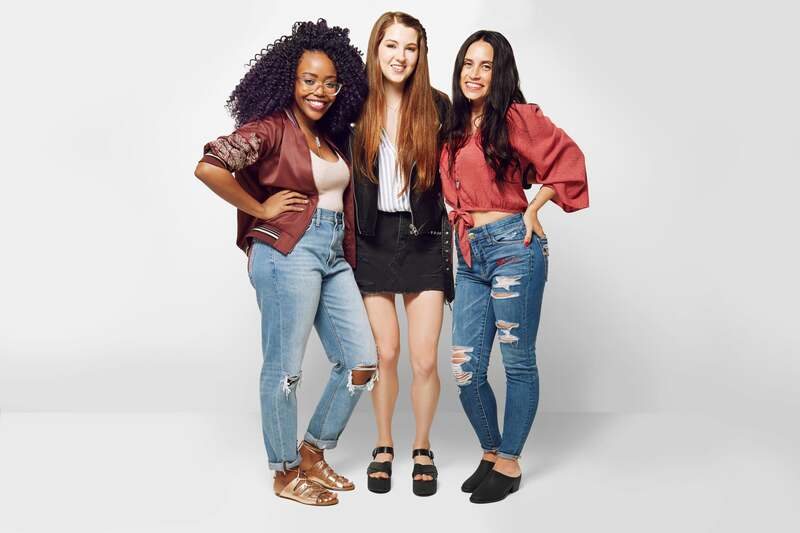 "I'm shy by nature around strangers, and one way I was able to feel comfortable and confident when meeting new people during my trip was by wearing my favorite jeans."